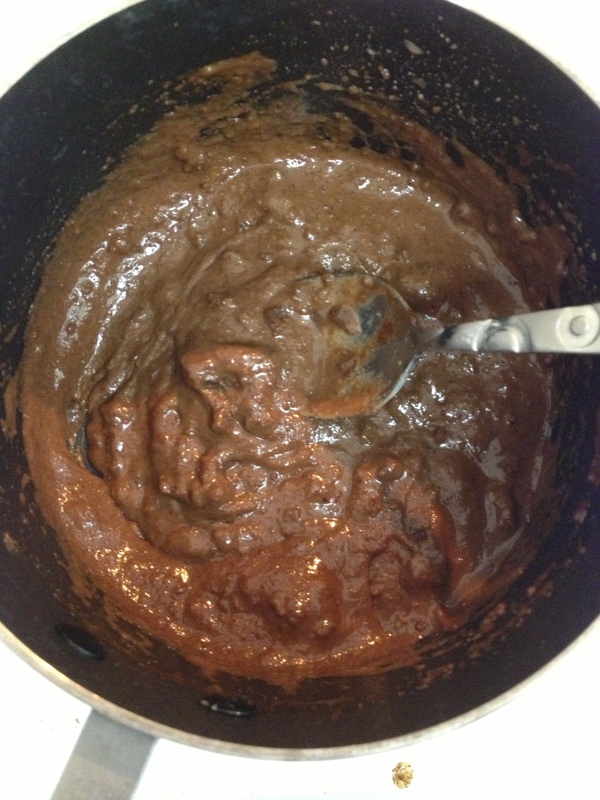 So I was trying to think of another way to use my Chocolate Shakeology Almond Butter. It is super thick, so eating it with bread is what I was wanting but not needing. 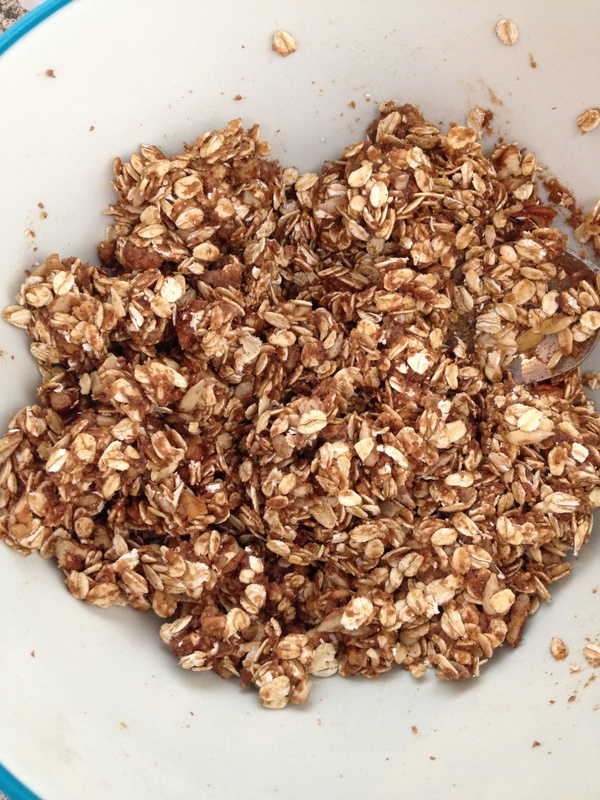 I decided to try it in granola! 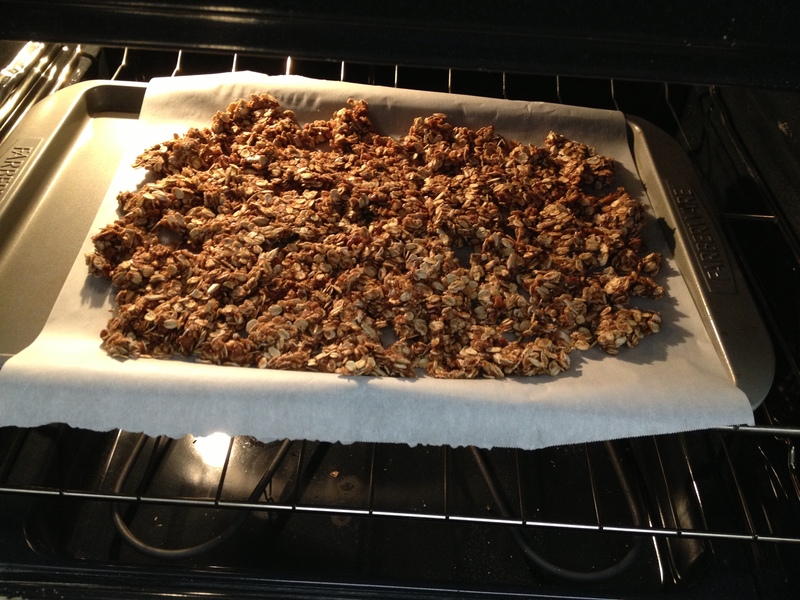 Here is my Chocolate Shakeology Almond Butter Granola. I made the almond Shakeology butter and love it with celery, but yet again was finding that morning breakfast a little redundant. A little boring. Maybe it is because the celery isn’t as sweet in September? I don’t know but the stalks I have been buying haven’t been very flavorful. So I had a coupon for So Delicious and bought some of the yummy vanilla coconut yogurt and wanted a healthy add-in. Now I know granola is in essence unhealthy; I mean can you say calorie bomb? But it is no different from a cake or cookie. . .portion control, portion control, portion control. Also, when you make it yourself, the add-ins are more easily controlled, and by not making it too sweet, it isn’t something you will scarf down. 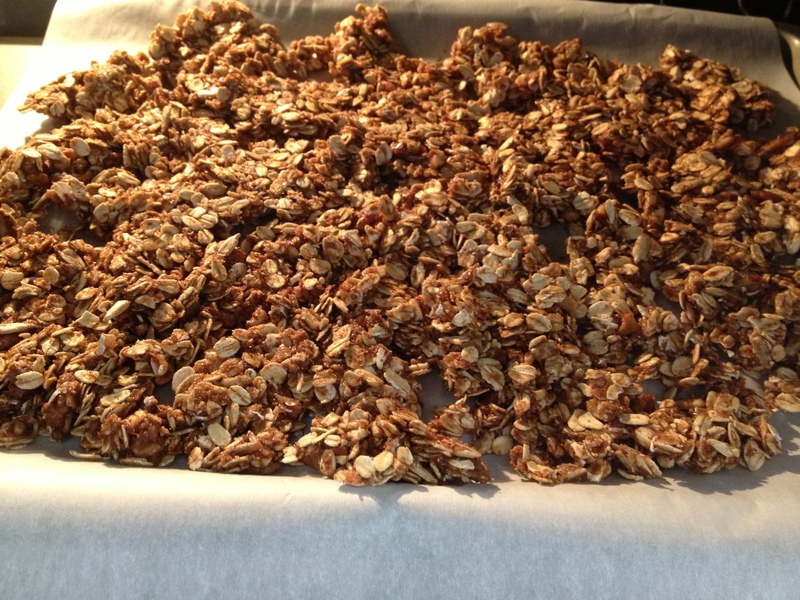 So I pretty much followed my last granola recipe, but baked at different times. 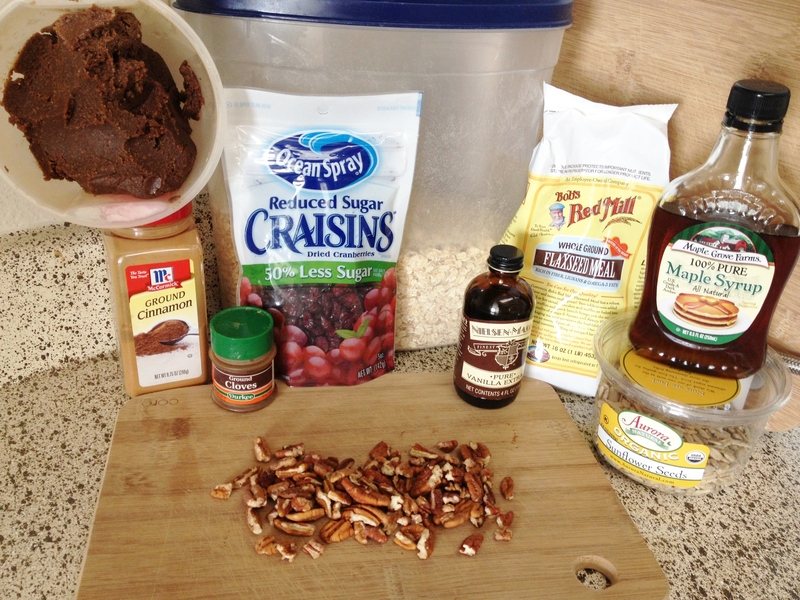 Started with 20 minutes, then mixed in the reduced sugar craisins and baked for another 25. Oooh, just the way I love granola – with big chunks. Mmm. This turned out so good! 1. Turn oven to 250 degrees. 2. 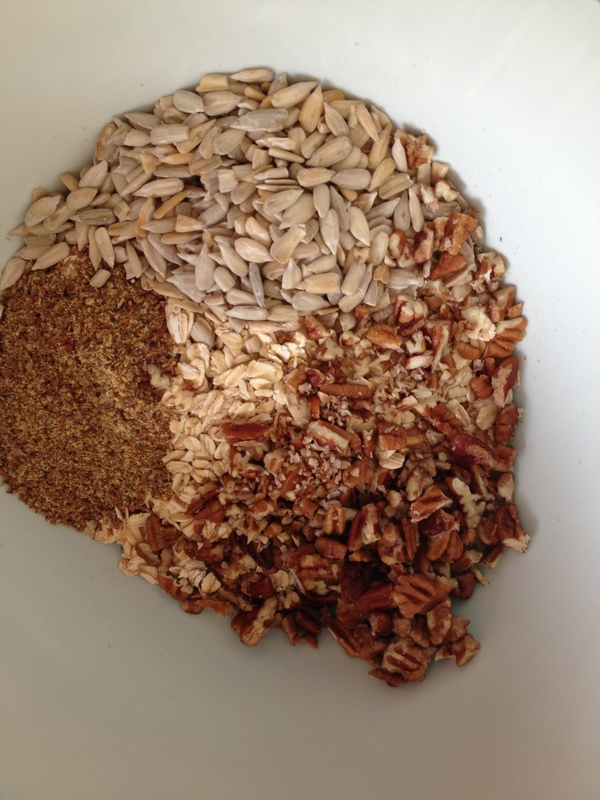 Pour Oats, nuts and flax-seed into large bowl. Combine. 3. 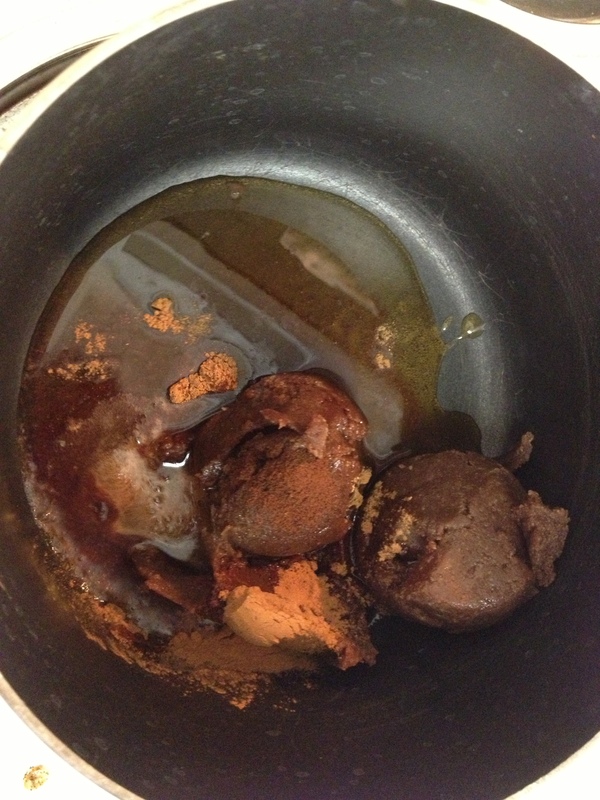 In small sauce pan melt the butter, maple syrup, spices, vanilla and water. 4. 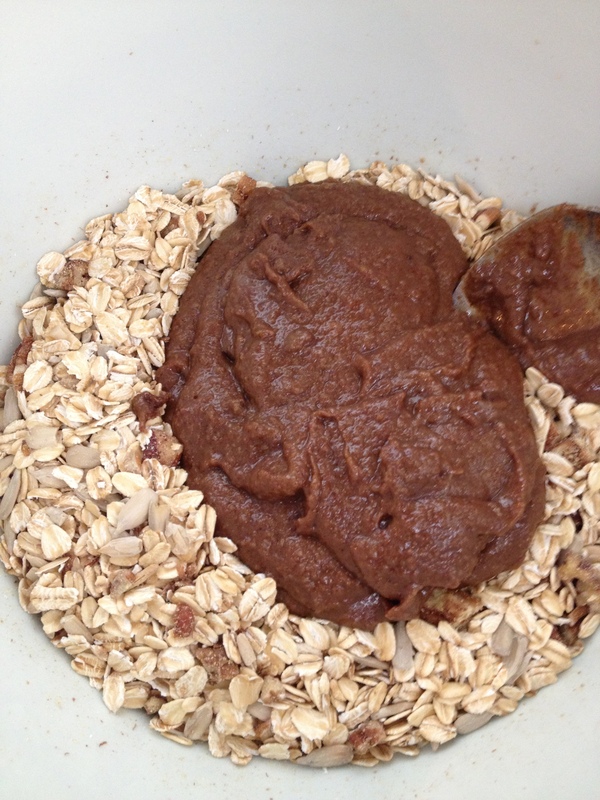 Pour mixture over oats and blend well. 5. 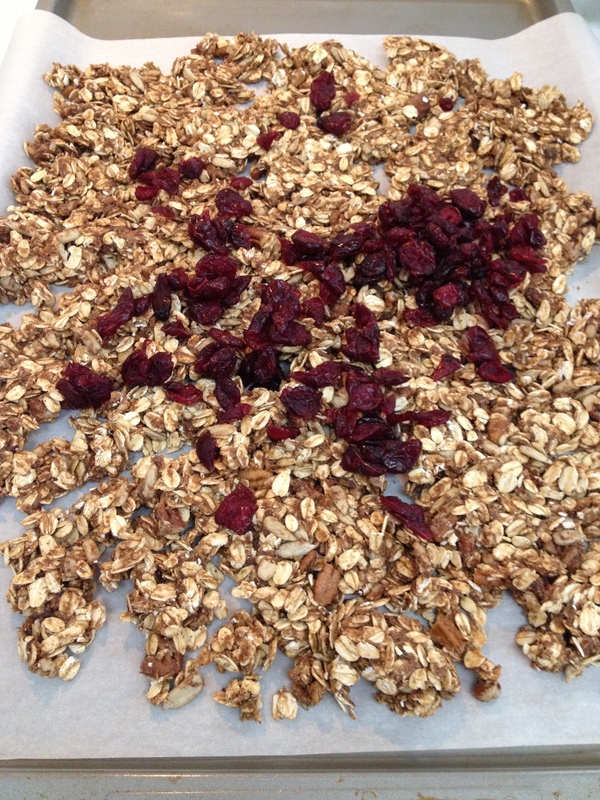 On parchment covered baking sheet pour granola. Spread evenly and pat down. 7. 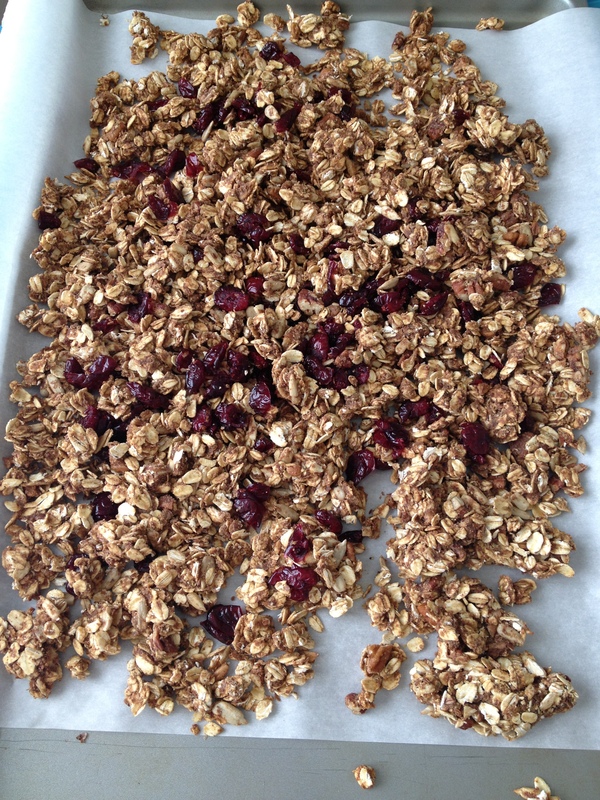 Take out of oven and pour craisins over granola and carefully mix, then pat down again. 8. Bake 25 more minutes. 9. Let cool and Enjoy!!!! This looks super tasty, and I love that it’s vegan I’ve tried going vegan several times, and always fail, but it’s nice to try to do it whenever possible. 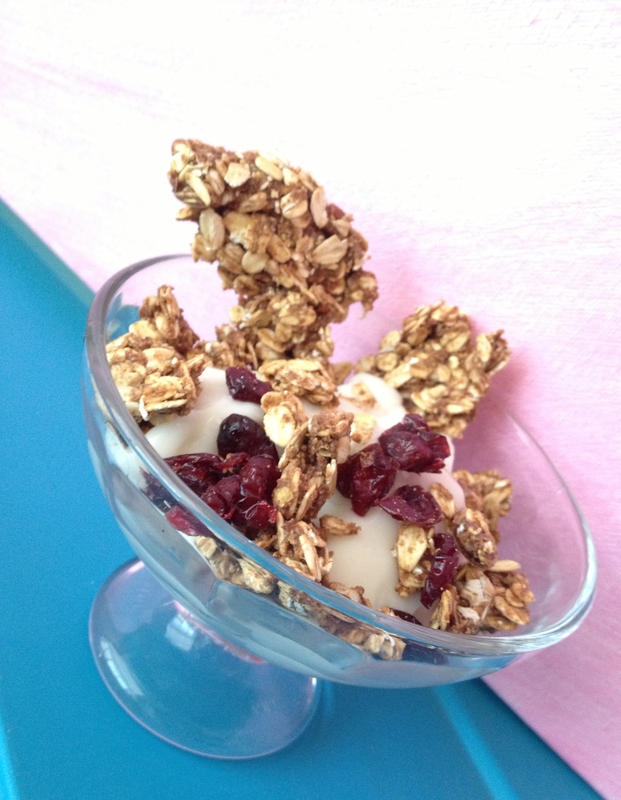 I love granola over yogurt, so I’ll be giving this one a try. Thanks for sharing!